Erin Brockovich (born June 22, 1960) is an American legal clerk and environmental activist, who, despite her lack of formal education in the law, was instrumental in building a case against the Pacific Gas and Electric Company (PG&E) of California in 1993. 1. How did Julia Roberts character transform throughout the narrative? 2. What media conventions allowed the audience to understand this transformation? Erin Brockovich, was a film text distributed in the year 2000. The narrative was centred around the true story of an inspiring women who brought a small town to its feet, winning the biggest payout of any law injustice. Erin played by Julia Roberts was an American legal clerk and environmental activist, who, despite her lack of formal education in law, was instrumental in building a case against the Pacific Gas and Electric Company (PG&E) of California in 1993. Given the text was representing the American society in the time period 1993, particular code and conventions were employed by the director to convey the characters and story arcs. In the opening sequence of the narrative the audience is presented with Erin’s character and understand her as a poor, single mum who is struggling to make a better life for her and her three young children. The dialogue of her character implies her defeated life and the costume reflects her sexual, tacky style. However, what she lacks in style and sophistication she makes up for in confidence and attitude. The audience instantly admire her and follow the point of view of this narrative. Her costume and acting barely shifts throughout the development and closure of the narrative. Using this convention as a technique to have the audience fight for her character throughout the duration of the film. In America in the 90’s women’s rights were a topic of discussion and women were represented and known in the media for their appearance and sexual attitudes. The success of this film text is based off this ideology. The director encourages the audience to engage with the explicit ideology of feminism and asks the audience to root for her character. In the opening of one of your media texts discuss the narrative possibilities that the audience would expect to unfold. In your response include a discussion of how a code and convention revealed the ideology of gender within the narrative possibility. The opening of a narrative sets up the future possibilities of the text. Information is revealed at this point and expanded upon, basing its direct interest to the causes of subsequent events, significant motifs and important features. The audience, expecting a resolution at the end of the film, needs narrative possibilities to be established in the opening and developed during the duration, to allow for this to happen. Expectations also need to establish so as the story unfolds and events occur the audience has an acceptance of what is occurring on screen and can make sense of them. Mise-En-Scene when used as a media code focuses the audience's attention on the composition of everything visually within the physical boundaries of the shot. Through this effect, the creator can choose to highlight the narrative's ideology. The ideology of gender, using Mise-En-Scene can be reflected through the visual element of costume and make-up. The clothing a character wears can reflect personality straights, cause misjudgement or subsequently easily distinguish a male figure from a female. An actors clothing often reflects society at the time and therefore its dominant ideology, in this case being gender. In the text, 'Erin Brockovich' (2000), directed by Steven Soderbergh, this convention is revealed from the protagonist, Erin. The character; a hardworking and driven woman was played by Julia Roberts, a role and persona well developed. The narrative explored the explicit ideology of gender, through her clothing being subject to misjudgement. Her choice of tight, tacky and often sexual clothing appears to show from the opening of the narrative. It gages the impression of the audience that she has little respect for herself, however, in the ending this is incorrect due to the passion she puts into her workplace and the outcome of this passion. She stays true to this costume and style amongst all the events, despite being in the field of Law. This proclaims the ideology of gender, more specifically, femininity. 1. What motivates each character? 2. What events do the characters’ motivations cause? 3. Give examples of cause and effect chain within the narrative. 1. Consider the fictional film narrative and list the decisions and actions that reveal the character of the main protagonist. 2. Choose two characters from the text and explain what changes occur and their character development. In the opening of one your media texts, discuss the narrative possibilities that the audience would expect to unfold. In your response include a discussion of how a code and/or convention revealed the ideology of gender within the narrative possibility. The opening provides the audience with a basis of things to come. Causes of subsequent events, significant motifs and important features of the initial plot are all laid out during this stage of a film. Narrative possibilities and expectations are set up in the opening of a film and throughout the narrative, allowing the director to reveal information and then expand upon it. Expectations need to be established so as the story unfolds and events occur, allowing the audience to accept and make sense of them. Character motivation when used as a convention of the moving image is a good indicator of the narrative’s ideology. In modern texts, the protagonist is often motivated by the need to restore order and set the social values right, according to the society and its beliefs at the time the text was produced and distributed. The motivation will often reflect the dominant ideology of the time and society. In the text, ‘Erin Brockovich’, a 2000 American biographical film, directed by Steven Soderbergh, the protagonist Erin, played by Julia Roberts explores the explicit ideology of gender and femininity, through her pure motivation to set the social values right. Although the dialogue of her character implies her defeated life and the costume reflects her sexual, tacky style in the opening of the narrative, her character motivation always manages remain the focal point of the narrative. This reoccurring theme allows the audience to be immersed in the ideology of femininity from the time period. This refers to the arrangement of props, objects, actors, lighting, space, costume and make-up within a specific scene. Or put simply – the composition and layout of everything within the frame. Careful and well-planned arrangement of mise-en-scene elements can determine the nature of the media product and create a purposeful impact on the audience. Using the images below from the film text, Erin Brockovich, list all the mise-en-scene elements employed and explain the impact they have on the audience. How do these conventions impact the narrative? Question: Analyse the role media codes and conventions have played in the creation of ideologies evident in one of the media narratives you have studied this year. Within the narrative Erin Brockovich (2000), Setting and Mise-en-scene aid in the deliverance of the ideology gender. Setting within the opening reveals the protagonist to live in a lower socio-economic area, suggesting to the audience that she is a single mother trying to make ends meet. Erin’s character is represented to the audience as a struggling mother trying to stay afloat of societies expectations. She is constantly seen, frustrated and sourcing new ideas of income for her young children. As the narrative progresses, her character goes against the common trends of this time period and makes a statement that she does not need help from a male to provide a, “good life” for her family. The audience then sees, Erin get a job working in a law firm and feel empowered and motivated for her character. Although this idea goes against the social values of this time period we are brought back to the reality of working women as ‘sexual objects’ by seeing her character wearing see-through, tight tops and short skirts. We then identify her character as a women who wants to work her way up in a male dominated workforce. By using this Mise-en-scene technique the audience relates to the ideology of femininity in the 90’s as women being identified and rewarded for their appearance rather than their brains. As the narrative resolves the audience are placed in a position where they mis-judged her character and realise she utilised her femininity and appearance to gain the support and trust of her clients. The audience can relate to this and support her decisions, resulting in her character being recognised for her ethical and business decisions. In the opening of one of your media texts discuss the narrative possibilities that the audience would expect to unfold. In your response, include a discussion of how a code and convention revealed the ideology of Gender within the narrative possibility. The opening sequence sets up a range of possibilities for the development of the narrative in an attempt by directors and producers to provoke audience expectations through features of the opening. Audiences establish narrative expectations in the opening of a media text in order to engage and fullfill their expectations in the resolution as events occur throughout the narrative. 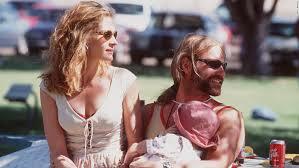 In the 2000 text, Erin Brockovich, the explicit ideology of gender is depicted through differing codes and conventions. Mis En Scene in the opening of the text represents the protagonist of Julia Roberts' character 'Erin Brockovich' as an unorthodox, struggling, single mother who is searching for employment. Audiences are able to form an expectation of the development of the narrative from the opening, where the use of costume and makeup highlight the characterisation of Erin and the ideology of gender. The costume reflects her sexual, tacky style as a woman, demonstrated by the director as an explicit ideology to structure the progression of the narrative. Erin's choice of clothing for a job interview as demonstrated in the opening scene, provides insight into her personal background of a poor single mother, as well as her personality in order for audiences to form narrative possibility expectations. Audiences begin to generate expectations for the development and closure of the narrative after gaining an insight into her hard working and passionate desire to find employment in the opening. Her costume and makeup that is contradictory of a 'normal' workplace attire, persuades audiences to understand the rejections she received by businesses. However, they being to expect the narrative to progress and expand on her hard working ethic strengthened by her failures, where challenges and changes may begin to surface. Question: Analyse how media codes and conventions have combined to create an effect on or to engage an audience in one or more of the media narratives you have studied this year. Your answer should include at least codes and two conventions. Media cods and conventions are used within media products such as film in order to engage an audience or portray societies present values. Erin Brockovich (2000) directed by Steven Soderbergh uses Story Arcs and Character Development in order to portray the ideology of gender. Audience’s in the year 2000 engage with this ideology due to changing perceptions of a man’s role in society and his key characteristics but also the idea of how a women should conduct herself. Story arcs most typically follow the pattern of, success to failure to overcome triumph to victory storyline. This storyline is followed as success is given to the protagonist towards the opening of the film in her achievement of obtaining a job. Failure is then followed by her character, to which the audience can empathise with. During this moment of conflict, Erin Brockovich proves strong, independent and driven. The female figure is career and justice focused, embodying a women’s role to not just be restricted to household duties. Her optimism leads to triumph as she is employed once more and comes across victory within the narrative by winning of her legal battle. This movement in the story arc allows the audience to feel motivated by her character. An empowering and self-driven woman is inspiring to audiences and portrays the idea through staying strong during moments of downfall that females can be successful. Character development is displayed in the films antagonists, Erin’s boss and partner. 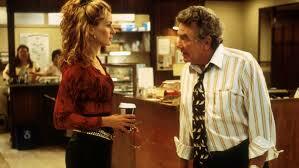 Through Brockovich’s journey at work both characters are transformed by her dominance and resilience as a female. Her boss although doubting her potential in his company was featured in the final scenes to show how proud he was. He learnt to support her, going against societies norms where males are usually in charge. By the resolution of this text, gender roles in this narrative are encapsulated to hold no boundaries in terms of success. 1. Define how codes and conventions have been used in the construction of Erin Brockovich. 2. Define how a challenge to ideology was made explicit within the character of Erin. 4. Explain how the producers of this text utilized the ideology of ‘gender’ to create an empowering narrative for women in the year 2000.